After more than two decades of operation FRAEC will be closing its doors on November 3, 2011. This was not an easy decision, but one that FRAEC management and the board of directors believed was right. For 22 years FRAEC, has advanced U.S.-Russia relations. FRAEC started with a belief that strengthening economic and community ties with a post-Soviet Russia was good for the citizens of both countries, and indeed good for the world. Over the years we have worked tirelessly to turn that belief into reality, hosting dignitaries, organizing exchanges, facilitating partnerships, executing government programs, and connecting people in an effort to foster understanding. In its own way, FRAEC narrowed the geographic gap between the U.S and Russia, and made the world a safer place. That is FRAEC’s legacy. The decision to close our doors was based on a number of factors, including current economic conditions, changes to the ways that nonprofits are working with Russia, and funding sources. We are proud of the work and impact that we have made in large part because of partners and members such as you. Your work over the years and moving forward is a very important element of our legacy and we would like to thank you for your commitment to a stable and productive U.S.-Russian strategic relationship, one that is very important to the world. 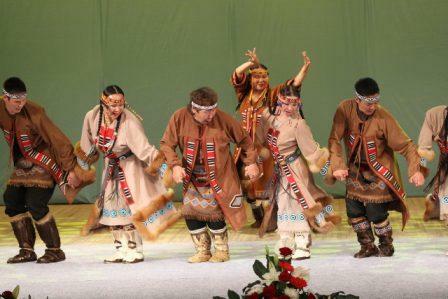 RAPP just held a very successful 16th Annual Meeting on Kamchatka, Russia on July 13-14, 2011. Please click here to see the photos. As many of you know FRAEC is passionate about telling the stories of Russians and Americans working together to improve their communities and in doing so, broadening understanding between our two countries. Last year we launched the Story Stream Project to provide a platform to tell these stories through video. We have received very positive comments about the site, the idea and the need to get more of "these type of stories" out there. Take a look at our video and let us know what you think. If you think it warrants support, then please donate by clicking on our Make a Donation button. Thanks. 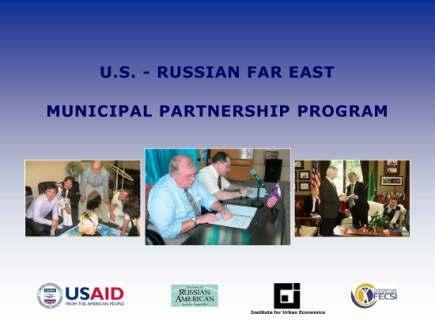 FRAEC is pleased to present this brochure highlighting examples of U.S. West Coast and Russian Far East municipal cooperation that has occured over the last 3.5 years through the USAID-funded U.S.-Russian Far East Municipal Partnership Program.